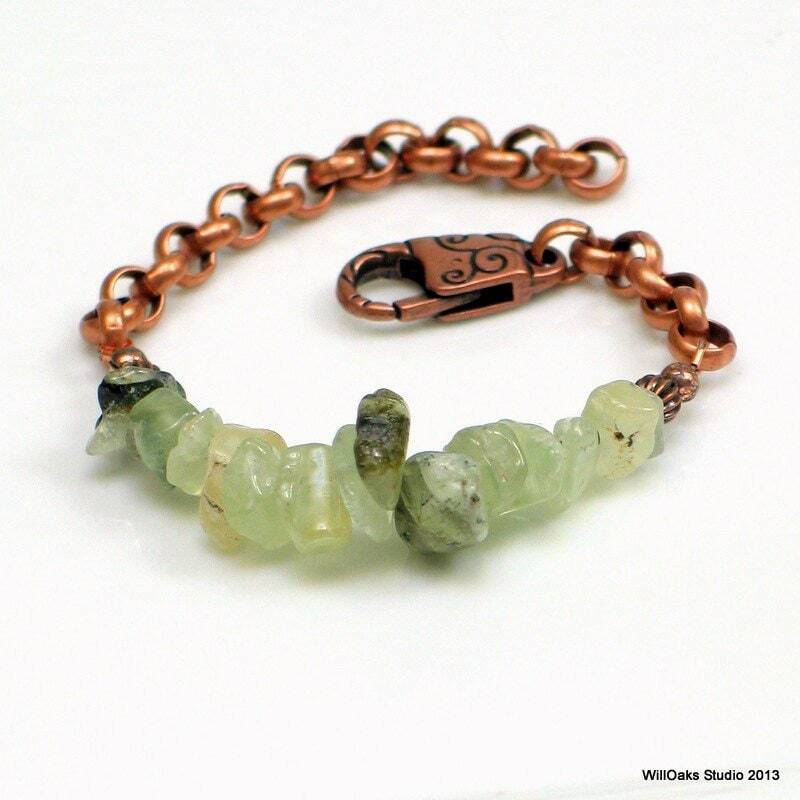 Natural prehnite nuggets are shades of green with dark green inclusions, about 3" of stones, on a fully adjustable copper plated rollo chain with a decorative larger lobster clasp. 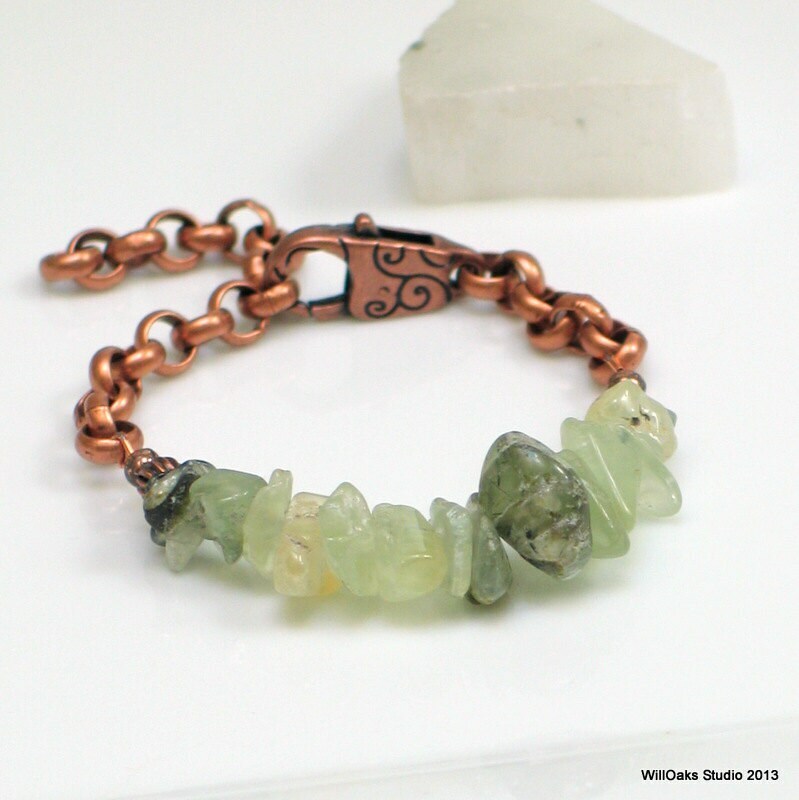 The bracelet is about 8.5" in total length and can be closed in sizes smaller to larger. Designed to be worn tighter or looser, alone or stacked with other bracelets all year round. 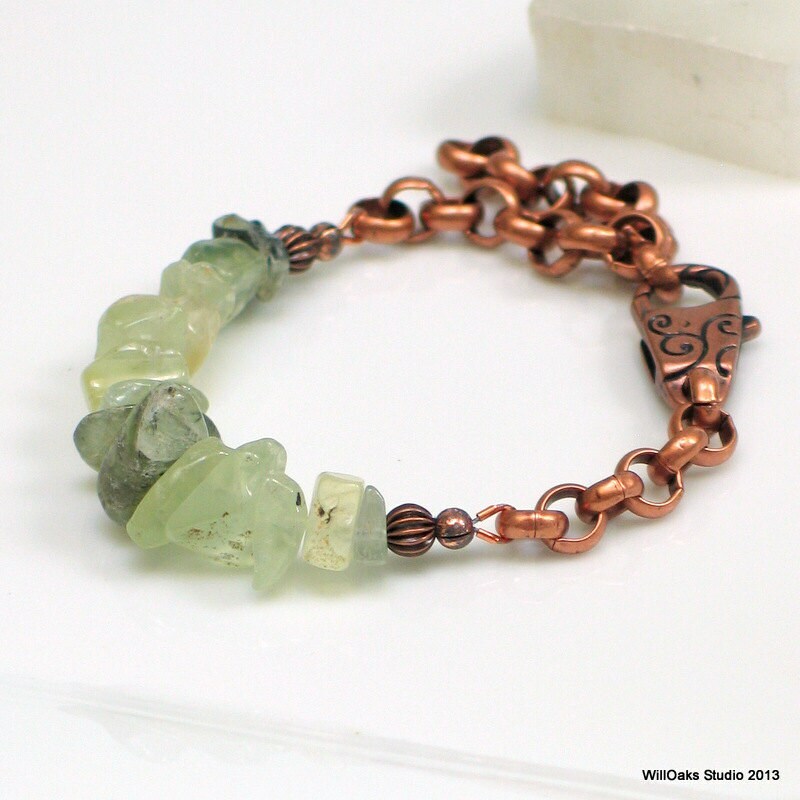 These Prehnite nuggets are untreated and will vary some from bracelet to bracelet, making each creation beautifully unique. The heavy brass chain is plated in copper and together with the designer oversize clasp, is designed to counterbalance the weight of the stones. 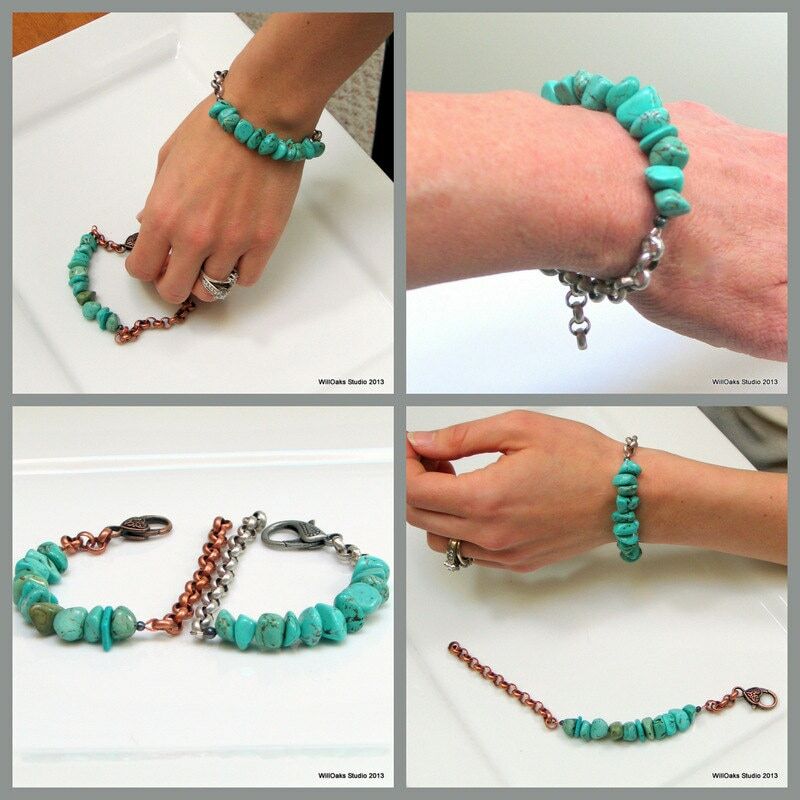 Please see the bottom photo to visualize the piece being worn, though the example shown is actually this listing https://www.etsy.com/listing/125394608/turquoise-bracelet-large-stone-nuggets? which is part of the same series. This series of bracelets puts the focus on natural stones, especially irregular shapes and sizes as are found in nature, to celebrate the beauty in our natural world. 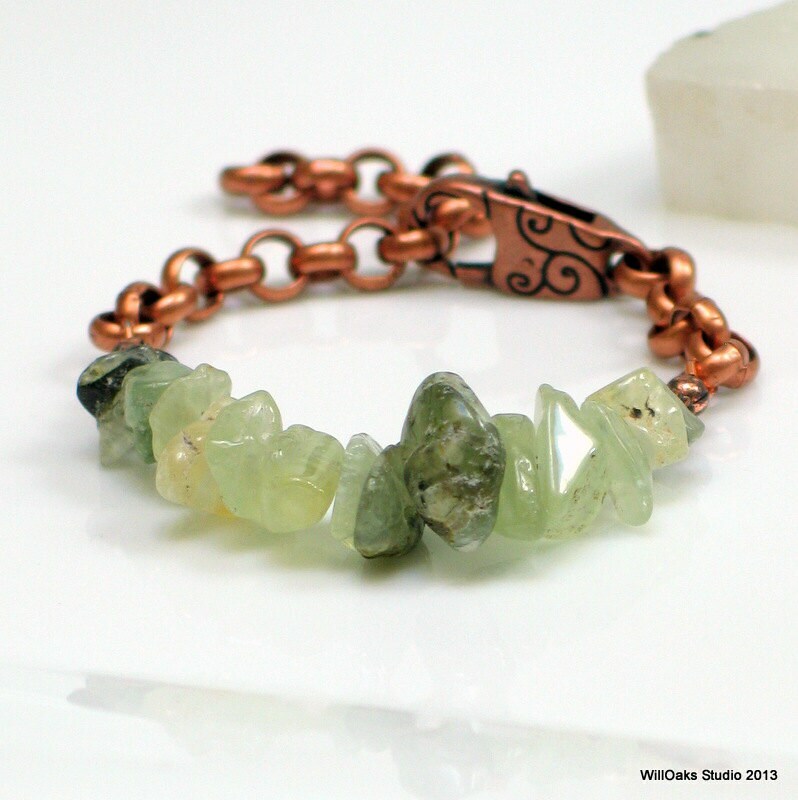 Due to the organic nature of the stone materials, each piece uses naturally different prehnite stones. The pieces in this series are limited editions.